Why I quit the world of 4x4s – HubNut – celebrating the average! Selling my Ford Maverick was a decision not down to the vehicle. It was a great old bus and still is – a mate now owns it. What it came down to was being totally fed up with the flack you get for owning a 4×4. I got fed up with having to defend my hobby. I even had to do so on occasion within the 4×4 world – it wasn’t just ramblers and eco-warriors. 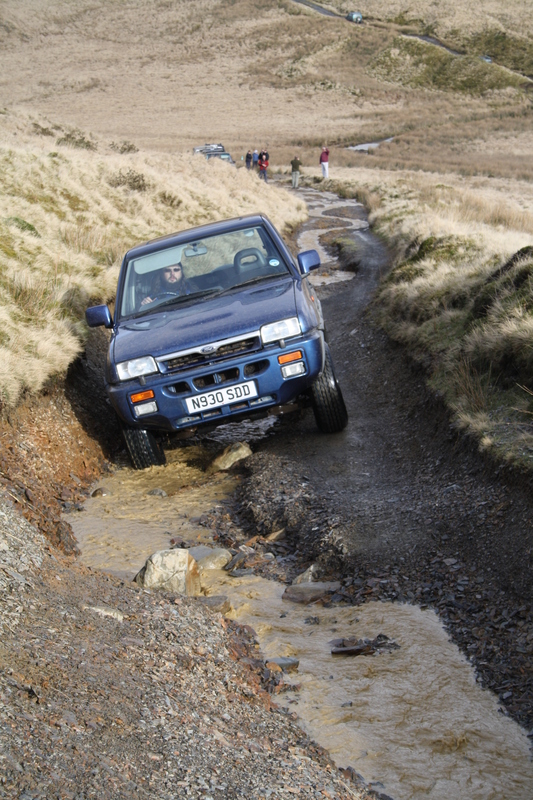 Greenlaning remains a hobby that polarises opinion. Some people like it, many more seem to hate it. Very few seem ambivalent about it and those that are, would probably think about it for a moment and then decide that the countryside should be left to animals and pretty flowers and that only people on foot should be allowed to enjoy it. This annoys me greatly. When you consider the number of Byways that 4x4s can make use of, versus the number of footpaths that snake around our countryside, the footpaths win by a massive margin. If you want to enjoy a walk unspoiled by the sound of vehicles, then options are plentiful. If you want to travel down Byways that were often the only way to get from A to B in a vehicle, you have to search long and hard to find viable tracks. 4x4s should not damage the environment unduly either. Travelling in small, sensible groups and backing out of anything too challenging is the way to do it. Know your vehicle’s limits and try not to get into a position where you need winching out. If you like that sort of thing, go to a Pay and Play site. Sadly, far, far too many people ignore this advice. The greenlanes on which I travelled legally were surrounded by areas where people had gone off-piste. The reason? Well, they’ve spent hundreds if not thousands of pounds ‘improving’ their 4x4s, and they want to push them to the limits. The truth is that the vast majority of greenlanes I’ve driven will not really challenge a completely stock 4×4. But people don’t want a stock 4×4. No, they want a row of spotlights above the cab roof, raised suspension, big, noisy tyres, a noisy exhaust and no doubt a ONE LIFE LIVE IT sticker – the stupidest sticker of all time. They don’t want to gently bumble down an unspiled lane – they want their 4×4 to be covered in mud from tyres to roof so they can show the world how manly and cool they are. They can also be pretty thick. For a start, they think that driving around in a mobile mud hut is cool. Secondly, literacy seems to not exist. I’ll defend my chums in West Wales Laning here as almost uniquely in the 4×4 world, they seem able to type actual sentences and seem a jolly nice bunch too. While some do have modified vehicles, everyone I saw on a lane behaved themselves impeccably and a responsible attitude was encouraged at all times. But spending time on 4×4 forums when you have a love of English is like walking around an abbatoir if you like fluffy lambs. It’s a gruesome experience. I’ve seen some apostrophe abuse in my time, but on one forum, I found an apostrophe in the name of the country I live in. Wales. Now, I know that not everyone is good at English and some have dyslexia, which is a very frustrating condition. But I don’t see such a blatant disregard for English on classic car forums. It’s not like the classic car world is full of people over 50 with English degrees either. There just seems an intolerance for text speak and crap spelling that frankly should be applauded. I ended up feeling very disillusioned by the whole thing. I knew some very nice people, and still do, but I very much felt part of a minority. The 4×4 had to go. And I do miss the avenues opened up to you by a 4×4. I miss being able to drive places that a normal car cannot go. I don’t miss accessing these places, because I can do so on foot – and I do. I still think there’s nothing to beat being somewhere really remote on foot. A car removes that sense of being many miles from civilisation. But I do miss the challenge and enjoyment which comes from putting a 4×4 to the use in which it was intended. What a shame that this seems to have become regarded as the latest anti-social hobby.